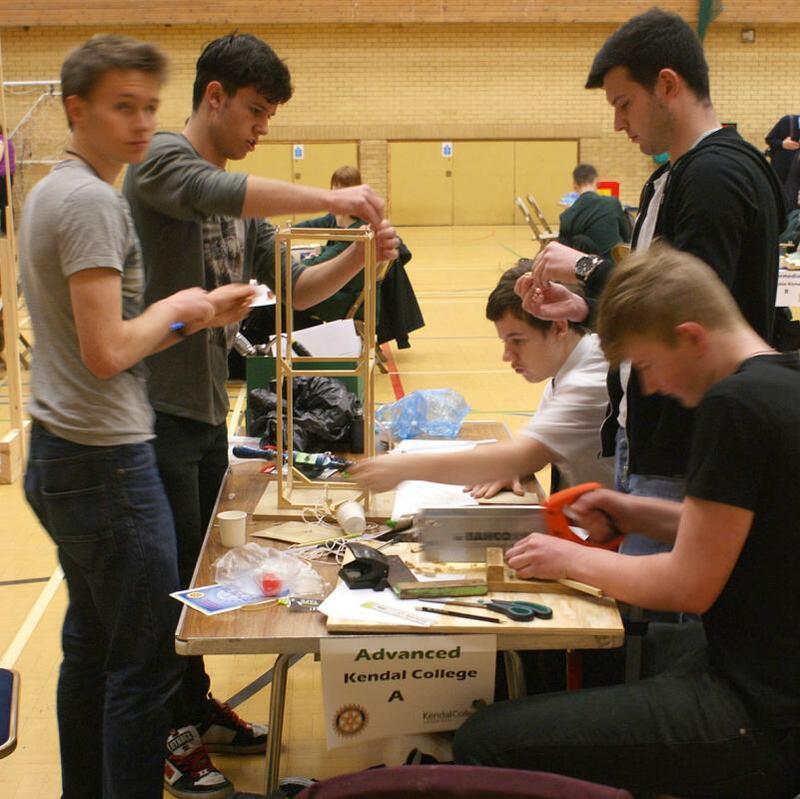 The Rotary Technology Tournament sponsored by BAe Systems and organised by the Rotary Club of Kendal with help from the Kendal South Westmorland Club and Grange Rotary Club was held on Friday 16th March at the Leisure Centre in Kendal. 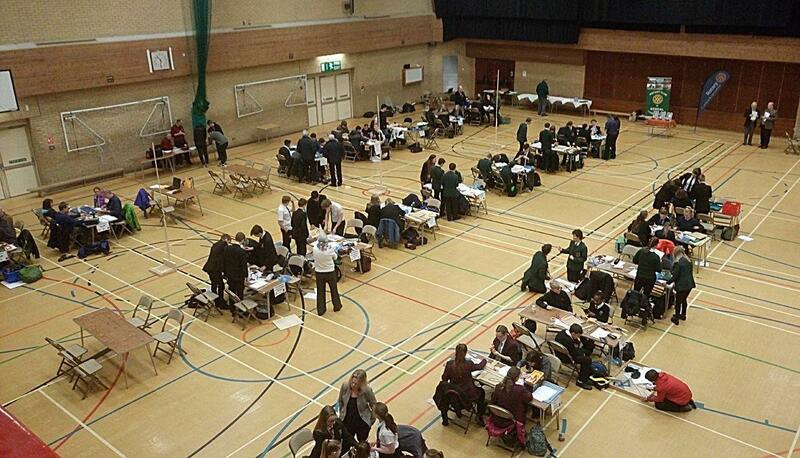 20 teams took part from local schools and colleges around South Cumbria including Kendal, Milnthorpe, Penrith, Cartmel and Windermere. 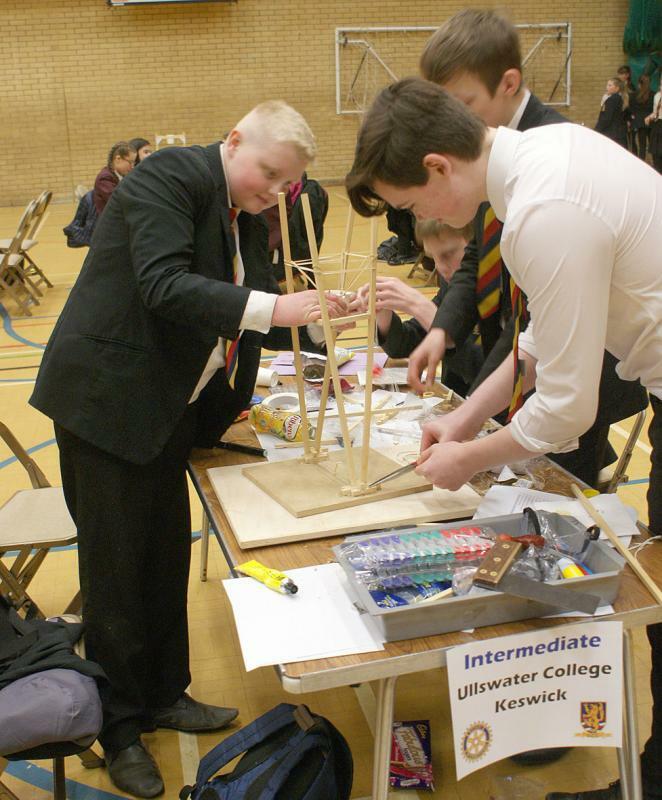 The winning team in the Foundation section came from Ullswater School with Kirkbie Kendal School in second place. The winner in the Intermediate section was Kirkbie Kendal C with second place going to Kirkbie Kendal B. The Advanced section was won by Kendal College A with Queen Elizabeth School from Penrith coming second. The very challenging brief was to design and build a launching vehicle to hold a satellite (a golf ball), which had to go at least three metres into the air when remotely released, and then parachute back to the ground as near as possible to the launch pad. Amazingly every team managed to achieve this, albeit with varying degrees of success. 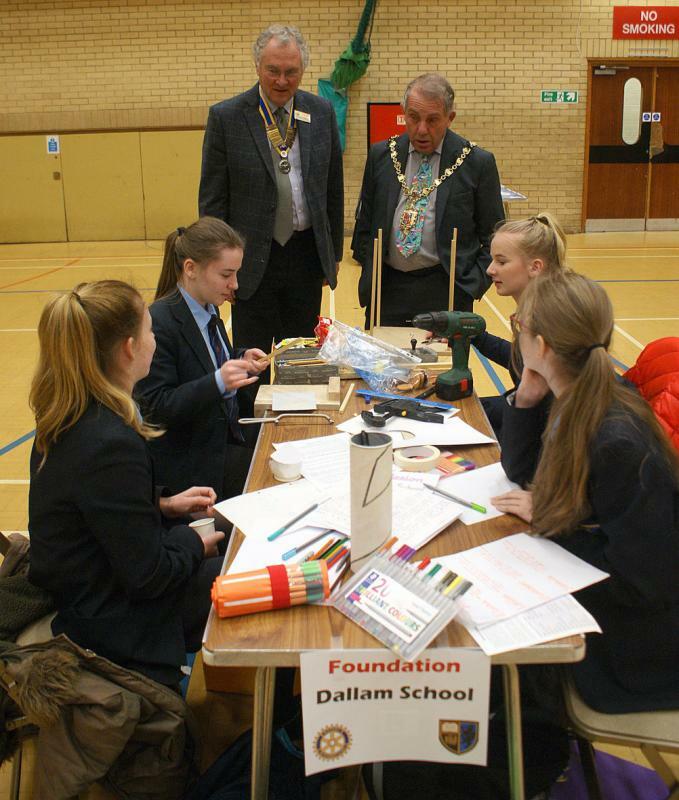 The Mayor of Kendal, Andy Blackman attended and talked to the students for over an hour and was extremely impressed by their enthusiasm and skill. There were two teachers teams and it was nice to report that the winning students team had better scores – oops!